Madhuri Crochet & Yarns: Easy Crochet Shapes! I am always looking to do some recycling and when it comes to my LO’s hair accessories, well let’s just say she is a monster! 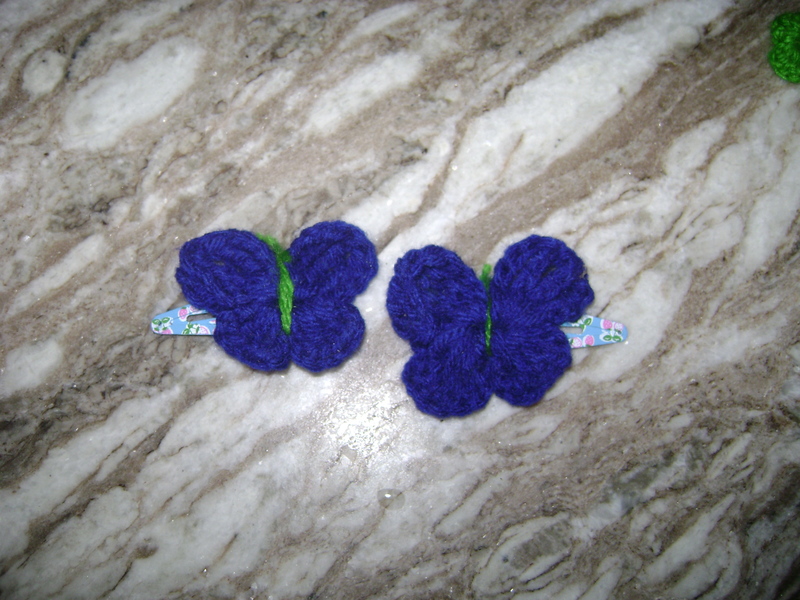 So, I started making the butterfly, flower and heart crochet pieces and attaching them (not permanently either because she likes to tear them off and I thought it would be best if they were durable) to the CLIP. The smaller the hook the smaller the butterfly. I use any color and a green, black or brown body. 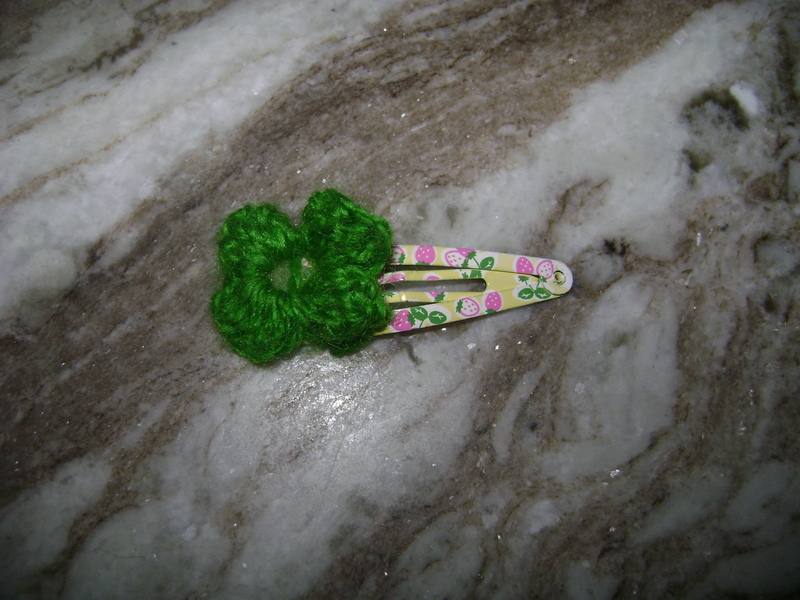 I use scrap yarn as they require a very small amount to make. 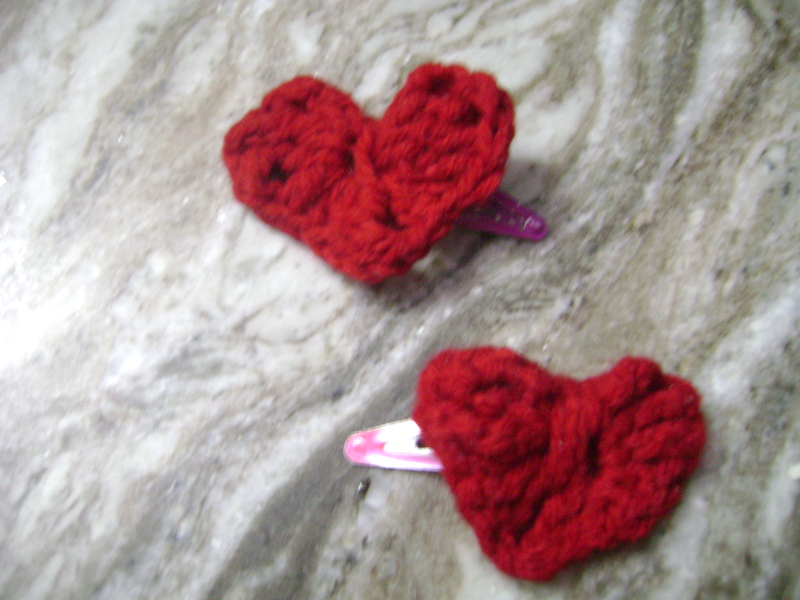 I made these with medium weight (remember I’m in India and don’t have a lot of fancy yarns) and a 3.25 hook because I ran out of hooks and they are VERY HARD TO FIND in India. THE HOOK AND YARN WEIGHT IS ALL DEPENDENT UPON HOW BIG YOU WANT THEM TO BE. JUST MESS AROUND AND YOU WILL SEE WHAT SUITS YOU!! THE FLOWER PETALS DEPEND ON THE NUMBER OF TIMES YOU REPEAT THE PATTERN. Notice how your work looks like a butterfly with small and large sides. 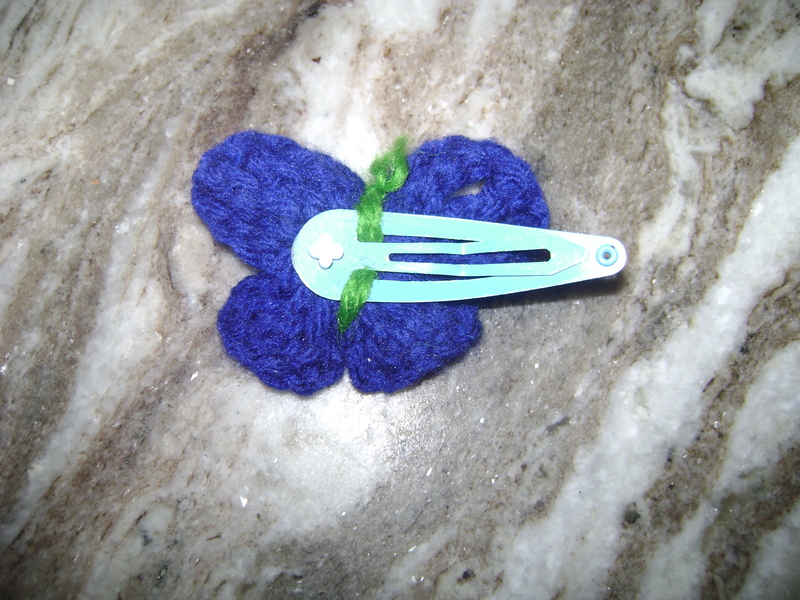 With a spare 2 inch yarn piece tie 2 times around the butterfly to make a body and antennae knot and clip with scissors. 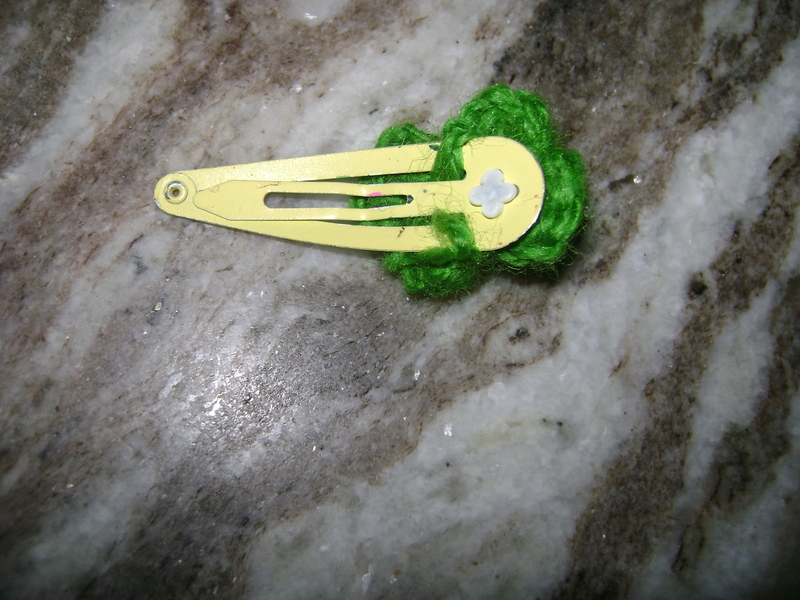 ATTACHING TO HAIR CLIP IS EASY: YOU WANT TO KEEP A LONG PIECE OF YARN TO ATTACH TO TH E HAIR CLIPS BY WRAPPING THE YARN AROUND THE HAIR CLIP WEAVING IT IN AND OUT UNTIL IT IS FIRMLY SECURE. THEN KNOT AND CLIP. MAKE SURE WHEN YOUR FASTENING THAT THE CLIP GOES IN THE RIGHT DIRECTION. THERE IS A RIGHT CLIP AND A LEFT CLIP. MAKE ONE OF EACH FOR EACH SIDE OF HEAD. Madhuri Crochet Design. Simple theme. Powered by Blogger.